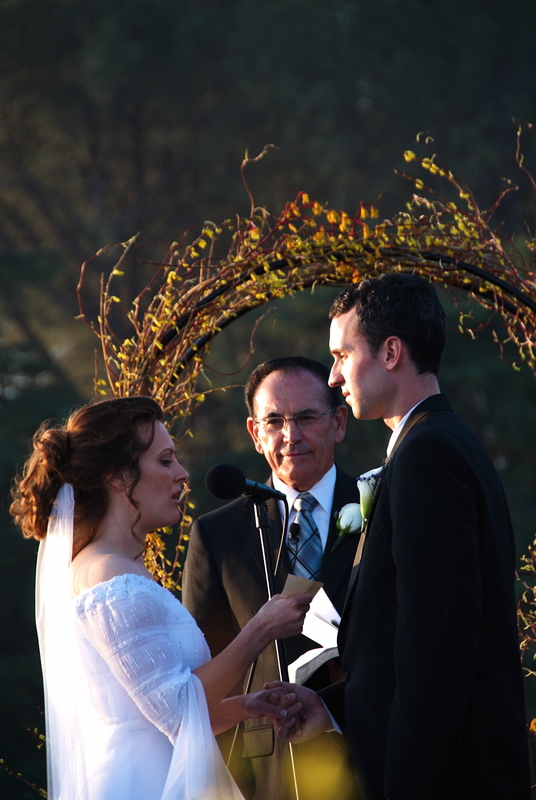 I stand here today before God, before you - David, and these witnesses to vow myself to be your wife. I promise to stand by your side forever as a virtuous woman in the Lord. As a surrendered woman, I vow to do you good and not evil all the days of your life, so that your heart can safely trust in me. I desire to work diligently with my hands to bring sustenance to you as my husband, my children, and my Eden home. I will go above and beyond the call of duty to pour out my love to those who are destitute and weary. In the strength of Jesus, I will strive to present myself, and my family with modest dignity. In this way, you as my husband, will be respected because he will have a well ordered and joyful home. I pray to have a mouth that speaks in wisdom and that love will find expression in my words and acts of thoughtful kindness and gentle courtesy. I know that favor is deceitful and beauty is vain: but a woman that fears the Lord, she will be praised. So I sing praise unto God’s name forever, that I may daily perform my vows. David I vow to be your wife and all that a wife should be in the eyes of God. Will you accept this vow and be my husband? 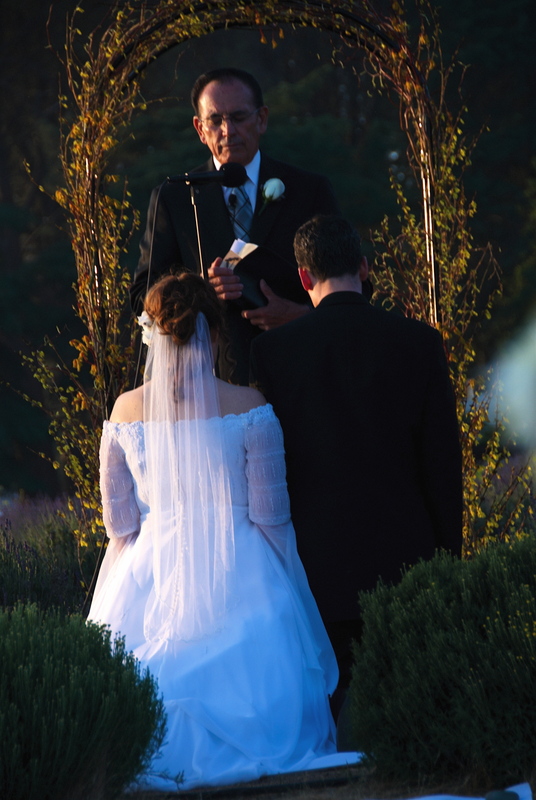 My vows were written as a prayerful response to my husband's vows after reading Proverbs 31. My husband and I both wrote our own wedding vows. God is the only One who can help me fulfill this vow. I understand that this vow is not something I am able to do of my own strength. Who can find a virtuous woman? for her price is far above rubies. The heart of her husband doth safely trust in her, so that he shall have no need of spoil. She will do him good and not evil all the days of her life. She seeketh wool, and flax, and worketh willingly with her hands. She is like the merchants' ships; she bringeth her food from afar. She riseth also while it is yet night, and giveth meat to her household, and a portion to her maidens. She considereth a field, and buyeth it: with the fruit of her hands she planteth a vineyard. She girdeth her loins with strength, and strengtheneth her arms. She perceiveth that her merchandise is good: her candle goeth not out by night. She layeth her hands to the spindle, and her hands hold the distaff. She stretcheth out her hand to the poor; yea, she reacheth forth her hands to the needy. She is not afraid of the snow for her household: for all her household are clothed with scarlet. She maketh herself coverings of tapestry; her clothing is silk and purple. Her husband is known in the gates, when he sitteth among the elders of the land. She maketh fine linen, and selleth it; and delivereth girdles unto the merchant. Strength and honour are her clothing; and she shall rejoice in time to come. She openeth her mouth with wisdom; and in her tongue is the law of kindness. She looketh well to the ways of her household, and eateth not the bread of idleness. Her children arise up, and call her blessed; her husband also, and he praiseth her. Many daughters have done virtuously, but thou excellest them all. Favour is deceitful, and beauty is vain: but a woman that feareth the Lord, she shall be praised. Give her of the fruit of her hands; and let her own works praise her in the gates. Beautiful, Vanessa. I am a former matchmaker of 23 years, so I always appreciate a beautiful love story. Thanks for sharing.